Hand Bags are a very convenient way to carry your pets along with you on trips and they also support in providing them with a sense of comfort and security. Unlike the dog crates, handbags always help you to keep a watch on your pet while travelling. 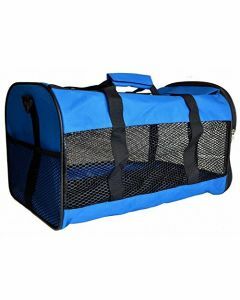 At PetsWorld, we stock various handbags for carrying your pets like Padded Fleece, Foldable and Fibre Cage which suits best for small breed dogs and cats. 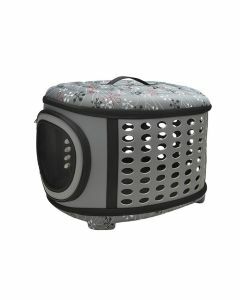 Padded Fleece bags are carriers having air meshes on three sides allowing proper ventilation to the pets inside. 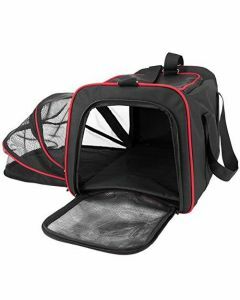 Foldable Pet Carriers also offer the same feature, but having an extra facility of a zipper where you can open the top cover making the carrier look like a cage. 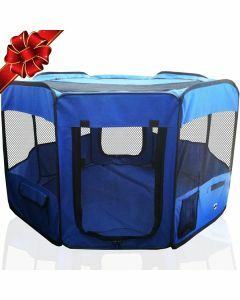 Another fascinating dog cage we have is PetsWorld Fabric cage which acts as a mini tent for your pet dog. Apart from having a removable top zipper, the fabric cages are also absolutely waterproof. It can also be folded, making it very easy to carry. The cage not only supports just dogs but also cats, rabbits, puppies, hamsters and guinea pigs.